With rising sea levels and possible storm intensification due to climate change, current United States urban coastal flood management strategies will be challenged. Due to limitations of current flood management strategies, evacuation is likely to become increasingly prominent in many coastal areas. Thus it is important to think critically about challenges for successful evacuation planning, particularly for vulnerable communities. 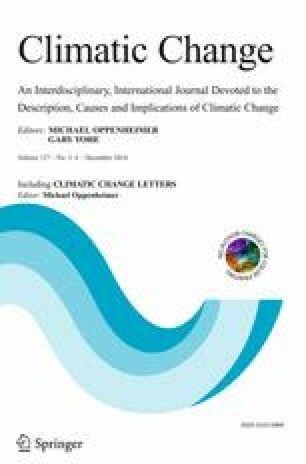 This paper brings together the evacuation planning, climate change and environmental justice literatures. We describe the unique challenges that environmental justice communities face with evacuation, and identify best practice guidelines to improve the quality of evacuation planning for these communities. The guidelines presented, while not comprehensive, provide a framework for planners and policymakers to consider when developing evacuation plans, both for current and future climate conditions, and could improve the quality of evacuation planning. This research was funded by grants from the NOAA Sectoral Applications Research Program (SARP; NAO08OAR4310722), NSF research grant 0966093 IGERT: Water Diplomacy, and a research grant from BP to the Center for International Environment and Resource Policy at the Fletcher School.